La Mancha is a natural and historical region located on an arid but fertile, elevated plateau of central Spain, south of Madrid, from the mountains of Toledo to the western spurs of the hills of Cuenca, and bordered to the South by the Sierra Morena and to the North by the Alcarria region La Mancha includes portions of the modern provinces of Cuenca, Toledo, and Albacete, and most of the Ciudad Real province. 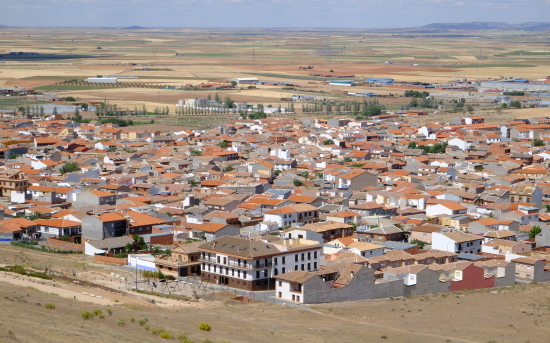 La Mancha historical constitutes the southern portion of Castilla–La Mancha autonomous community and makes up most of the present-day administrative. 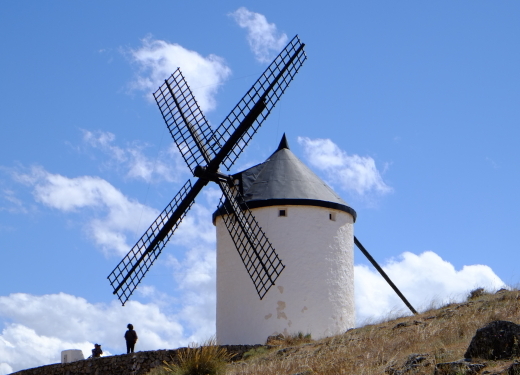 Miguel de Cervantes gave international fame to this land and its windmills when he wrote his novel Don Quixote de La Mancha. Cervantes was making fun of this region, using a pun; a "mancha" was also a stain, as on one's honor, and thus a hilariously inappropriate homeland for a dignified knight-errant. The original fortress at the site was perhaps built by emperor Trajan, but historical records only recall that a fortress here was initially built by Almanzor. During the Reconquest, in times of Alfonso VIII to the Knights Hospitaller. In 1813 it was destroyed during the Peninsular War. Consuegra family migrated to Havana, The castle and the windmills are Consuegra most important monuments. 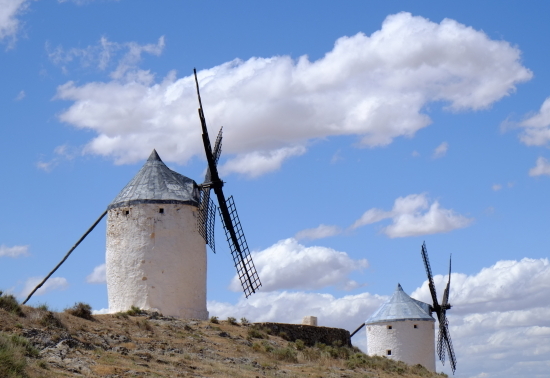 Most Spanish windmills, like those described in Cervantes's Don Quixote, can be found in the province of Castilla-La Mancha in central Spain. 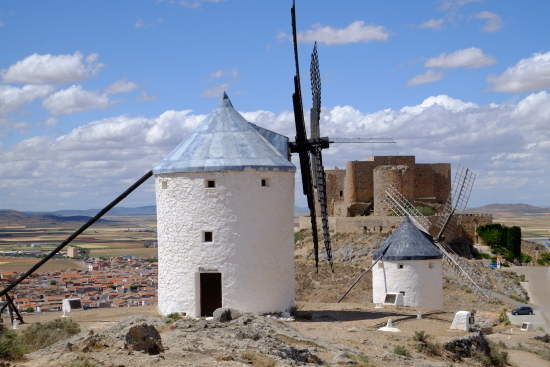 The best examples of restored Spanish windmills may be found in Consuegra where several mills spike the hill just outside of town, giving us a spectacular view of the 12th-century castle and of the town.